Having a strong and fit body is the surest way to avoid things like cold or the flu. However, to have the maximum effect from your workouts, you should boost your immune system supplements that play a big role of keeping your body healthy. These immune system supplements are hire to arm your body, and with dozens of research done that prove they help the immune system they are really great addition to your diet. Don’t know which ones to take? Well, not to worry because bellow we will go through the three most common supplements that will boost your immune system. This is a tasty fruit has a great immune boosting capabilities. A recent study showed that the extract from this fruit shorten the time of the flu symptoms for four days. If a cold generally last for one week thanks to this supplement it will be cut for the half of the duration. Generally, Elderberry comes in capsules or liquid form, which makes it easier for consumption. If you want to boost your immune system supplements just like Eldeberry are here to make that notion a reality. Oh, yeah who does not Vitamin C? We know it is in oranges and other fruit, but do we add fruits all the time in our diet? Well, the dynamic life of the 21st century does not allow much time to choose the food we are going to eat. Even though, sometimes fruits can be expensive, thanks to the advancement of pharmacy, now you can find Vitamin C in pills or liquid forms. There are dozens of brands on the market and they are made with different combinations. For instance, you can find only vitamin C with a doze of 500 or even 1000 mg per pill. On the other hand, you can find combination from many vitamins that also include vitamin C. It is up to you to choose with your personal preference in mind. This is one of the crucial elements that everyone should take a minimal amount. This mineral acts like an antioxidant, which keeps the body safe from infections by boosting the immune system. Many research backs the notion that Zinc helps reduce the duration of colds. The same as Elderberry, they reduce the cold by half which accelerates the immune system. This supplement comes as a pills and the recommended daily dosage is for 25mg per day. You just became a member of your local gym center. You try to make everything possible so you can transform your body and live healthier. Congratulations for that. But, there is one problem only. No matter how hard you are sticking to your diet regime, you eat early so your body can have enough time to digest the food before exercise, you hit the sack early the night, you sleep enough, but despite all the things you do, you still feel a lack of energy. The gym is the place where you need to show your full power for that hour or two, but sometimes you feel a deceased level of energy for no reason. To make the most of your workouts, you need to solve this issue as soon as possible and here are few tips how to increase your energy level and get yourself ready to hit the gym. Believe it or not, motivation is the cheapest and easiest thing that may keep your energy on the highest level possible. Motivation is a powerful form of energy that will pump iron in your body in a second. So, do not waste any of your time and try to find your highest motivation. This energy can come from just about anywhere. Whether you want to get in shape for the ladies or guys, for having the ideal body, wanting to look perfect on the beach during the summer, it doesn’t matter. What matter is to find that motivation that will make you want to hit the weights without any excuses. When looking for a way to boost energy supplement formulated specific for this purpose is another choice to lift your energy levels. This product is made to give a boost of energy along with many other benefits like great pumps. There is a wide range of supplements available out there, but they all continue stimulants which are high powerful and fast acting. So, if you want something that will promote mental and physical energy a boost energy supplement is your best choice. When you note how you’ve made those pumps with ease, you will have enough motivation to get back to the gym again. You feel a lack of energy at work? Drink a cup of coffee. Caffeine is considered as one of the most popular energy sources long years ago. It is easily available, you can get it from your coffee, tea, energy drink, coke. Caffeine is a quite fast acting substance what makes it extremely effective energy booster before your workouts. However, caffeine may increase your energy level faster, but this effect will not last for long. This substance offers only a temporary boost and you may even feel a crash after the effect wears off. Vitamin B or also known as energy vitamin. It is well-known for taking part from the essential process where energy from the food is transferred to the body. Also, during your workout sessions, your body will require for other vitamins and minerals so it is important to fulfill its needs. Feeling lack of all these vitamins and minerals can make you feel fatigue and thus cut down your power to perform your exercise in your best. The biggest source of energy in you body come right from the food you eat. Each food offers different energy levels and you can find out this just by looking at the nutritional facts. The amount of energy in food is expressed in calories. So the more calories you eat the more energy you will have. Some of the foods that can provide you with a high level of energy are fruits such as bananas, pineapple, watermelon, mango, etc. Last but not least, water is definitely the most important nutrient. During your workout, you lose a lot of water, so when your body start to lose the level of water you may start to feel dizzy, light headed or even nauseous. All these are symptoms of dehydration. If you feel dehydrated, you will certainly not have the power and mood for a workout. Redoing your home has always been a fun process for me. You will find yourself in a different situation, with different ideas and you will feel the freedom to make your home feel as unique as possible. One thing I have encountered during my research is that the best colour to redecorate your home is blue. Blue is the colour that shows trust and responsibility, something that we need to pride ourselves and what better way than to decorate your home with blue wallpaper for walls. If you are not the same thoughts as me then in this article we will go through why choosing a blue wallpaper for walls will create a unique and relaxing atmosphere. 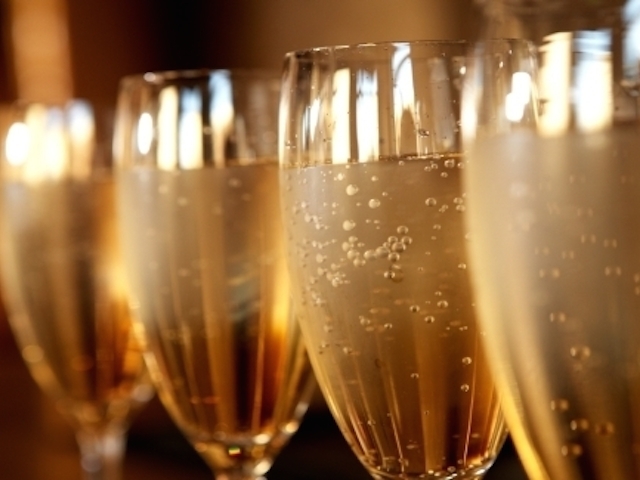 Do you first think of Champagne when you first hear about sparkling wine? You certainly do. If so, you have to do some work in learning about the other choices you have for your next celebrating occasion or romantic dinner. I don’t say that you should stay away from your favourite french Champagne, but as an Australian, what you need to know is that you can choose Australian sparkling wine and still enjoy the boons of the light, delicious and refreshing taste of a bubbly drink. When choosing a bottle or two of sparkling wine for a special occasion, you shouldn’t settle with nothing but the best, regardless if you’ve decided to choose Australian sparkling wine or sparkling wine originating from France, Italy or Spain. Here are the four best picks of a good sparkling wine. Jill Bryant is a famous Australian artist and graphic designer with a special kind of passion for painting. Born and raised in Perth, Western Australia, Jill Bryant is still living and working there and has regular gallery exhibitions. She has developed that passion in her early age and her painting abilities were only improving over the years. Jill’s school years have awarded her with Dux at two different art institutions.